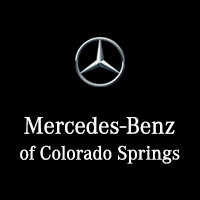 At Mercedes-Benz of Colorado Springs we want to make your car-buying experience as easy as possible. That’s why we have a Kelley Blue Book car valuation tool for your convenience below. Simply follow the prompts and find out what your used car is worth today. As always, you may check out our selection of new Mercedes-Benz vehicles, or simply visit us in person to test drive any of our models. We have the best selection of the most desired Mercedes-Benz models like the 2017 Mercedes-Benz CLA.